In the dead of winter, most of the NBA is focused on next summer. Will Kevin Durant leave Golden State? Will Kyrie Irving follow him? Where will Anthony Davis be? The league spent the week of the trade deadline consumed by competing superstar agendas, strategic media leaks, cap space, conspiracy theories and hypothetical superteams. It's a meta-game that is great and strange and addictive. It also may be the only game that anyone outside the Bay Area has any real chance to win this year. 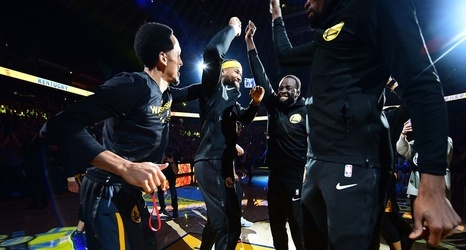 Above the fray of deadline madness, DeMarcus "Boogie" Cousins is healthy now, and the distance between the Warriors and the rest of the NBA has only gotten wider.